All with Maven-based build and deployment—optimized for interactive development. Red Hat Developer Studio includes both certified visual tooling and the production-ready Red Hat JBoss Enterprise Application Platform, which is supported by Red Hat for 7 years as part of your subscription. Be confident that your open source development environment and platforms are stable, easily upgradeable, deployable, and supported. 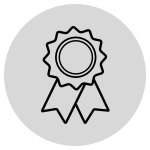 Red Hat Developer Studio is fully tested and certified to ensure that all of its plug-ins, runtime components, and their dependencies are compatible with each other. This means that you can be confident that all of your components (like JBoss Hibernate Framework, RichFaces, Portal, jBPM, Drools, and runtimes) work well together. Certified updates also mean that you don't have to worry about updating parts that might not work with the rest of the environment. Through its seamless integration with both Red Hat OpenShift and Red Hat OpenShift Online, Red Hat Developer Studio includes tooling that lets you interact with Red Hat's cloud offering as if it were a local server. A live reload server that provides interactive development with a preview that truly represents the end-user experience, eliminating the need to stop and manually refresh HTML pages. A browser simulator that lets developers test their web apps in various resolutions, dimensions, features, and mobile-device skins. These features include synced browsing, which shows multiple layout modes simultaneously. It also supports debugging with integrated FireBug and weinre. HTML 5/jQuery mobile tooling. Multiple widgets and their associated wizards are available as part of the jQuery mobile palette for HTML 5 mobile application development, including widgets for form, image video, and audio. 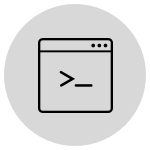 Red Hat JBoss Hibernate is a powerful, high-performance object/relational persistence and query service. It lets you develop persistent classes following an object-oriented idiom, including association, inheritance, polymorphism, composition, and collections. Unlike many other persistence solutions, Hibernate doesn't hide the power of SQL from you.